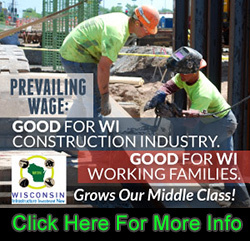 Boilermakers perform erection, repair and maintenance of hydroelectric, fossil and nuclear power plants, oil refineries, chemical plants, paper mills and steel mills. 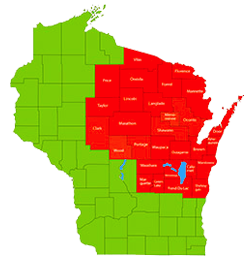 Their skills include boiler manufacturing and fabricating, steel plate and structural steel fabrication, pressure vessel and tank fabrication, highway construction equipment manufacturing, oil field equipment manufacturing and other metal fabrication. 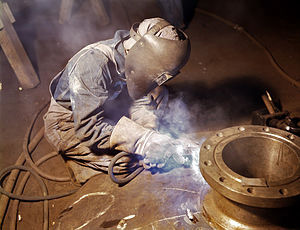 Members of the Shipbuilding and Marine Division are employed at private marine construction and repair facilities, and naval shipyards and piers. Applications for the Boilermakers National Apprenticeship Program will be at the Boilermakers Hall on the third Tuesday of each month. You must bring copies of the following documents or your application will be rejected, those documents are your birth certificate, High School Diploma or GED, social security card and drivers license. Boilermakers Video - For 125 years, Boilermakers have contributed significantly to the economies, the social infrastructure and the military readiness of both the United States and Canada. 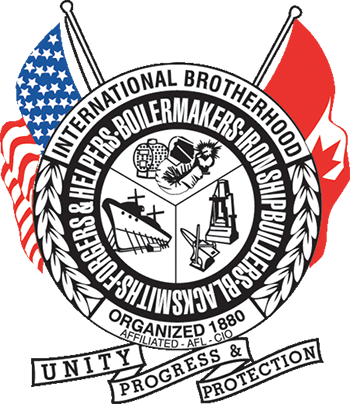 Any member of The International Brotherhood of Boilermakers, Iron Ship Builders, Blacksmiths, Forgers and Helpers may call himself or herself a Boilermaker, and many do even though they do not actually work in boiler construction and repair. Many also refer to themselves by some other trade our union represents through its many divisions. So you may hear our members refer to themselves as blacksmiths, forgers, ship builders, cement workers, stove workers, metal polishers, or numerous other job descriptions. 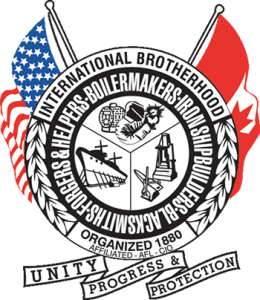 The International Brotherhood of Boilermakers is a diverse union representing workers throughout the United States and Canada in industrial construction, repair, and maintenance; manufacturing; shipbuilding and marine repair; railroads; mining and quarrying; cement kilns; and related industries. With its headquarters in Kansas City, Kansas, the International Brotherhood of Boilermakers unites over 250 local lodges throughout North America, providing numerous services for local lodges and individual members and uniting all our members in our common endeavor to improve the lives and lifestyles of our members.